Did you know that the Fairy Tail guild had a huge cannon? 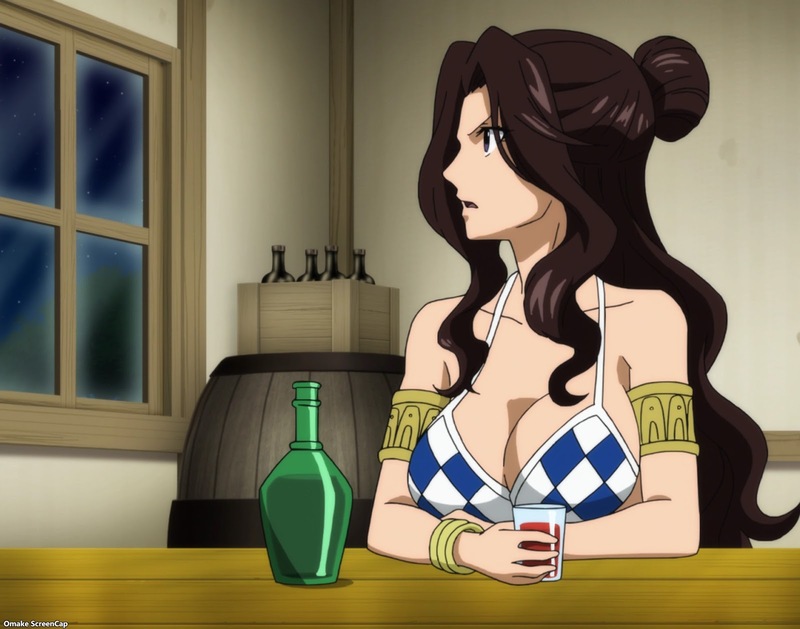 Well, neither did Cana. The new opening credit sequence for the winter season shows a lot of fun scenes and returning characters from stories long ago. The night before the big battle with the invading Albareth military, many of the Fairy Tail guild mates spent time with each other or doing their favorite thing. 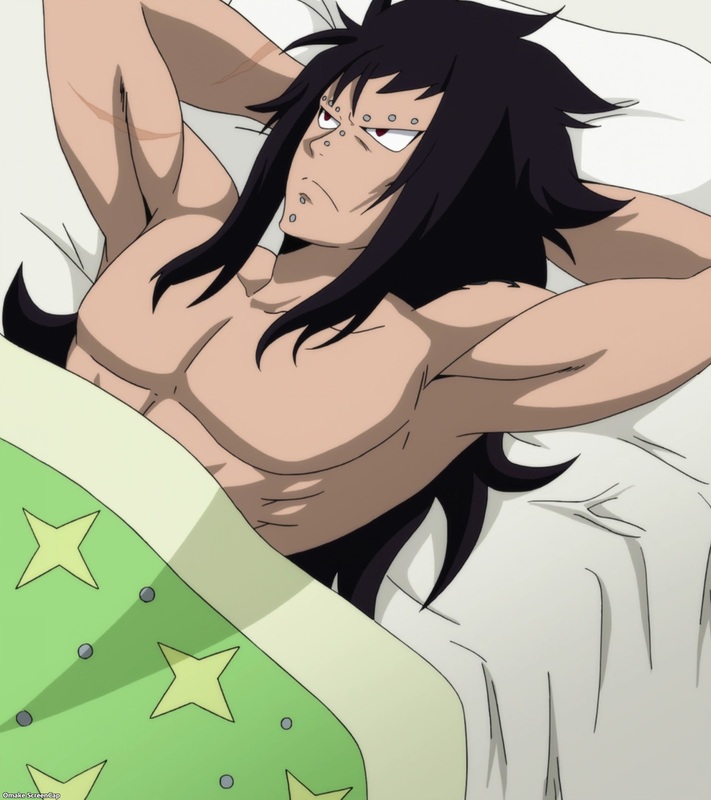 Albareth's surprise attack revealed the biggest news of the episode - Gajeel and Levy sharing a bed! 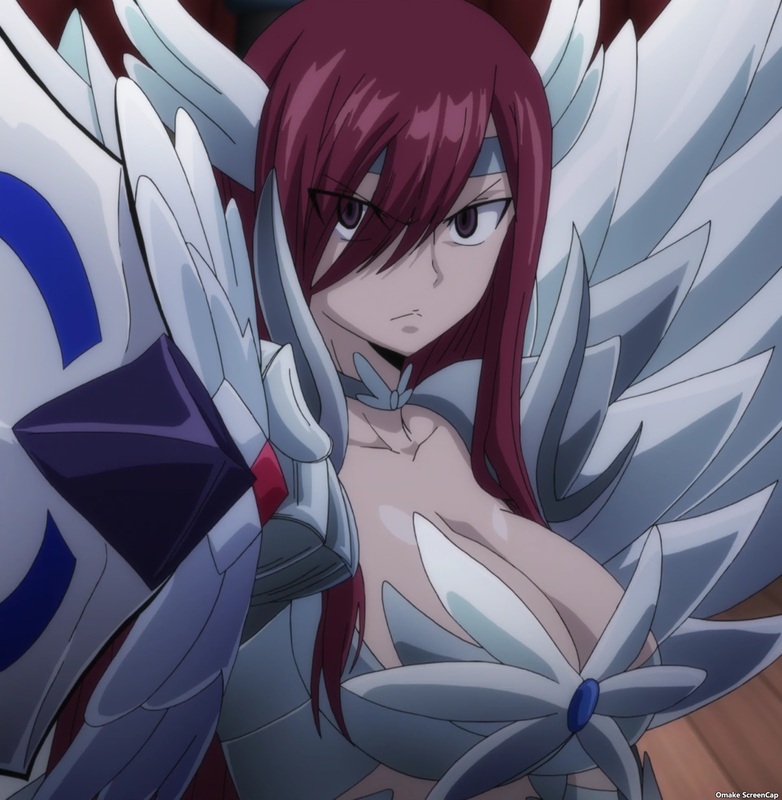 Bisca aimed that big cannon and then Erza attacked the lead flying boat in her Titania armor set. Meanwhile, Lucy found herself face to face with a dangerous and surprise guest in her apartment!